In Need of Body Shop Repair? 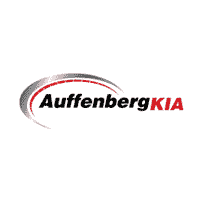 Whether your vehicle has had hail damage or been in a collision with a shopping cart resulting in scratched paint or dings, the highly-trained professionals at Auffenberg Kia can help. Here, we take care of minor cosmetic work on your car, truck or SUV, as well as major repairs resulting from a serious accident. No matter if your repair needs are minor or major, we hope you’ll remember us when it comes time to fix up your vehicle. We’ll get it looking like new in no time! You can feel free to stop in and see us in person at our location at 106 Auto Court, O'Fallon, IL 62269, or call us to schedule an estimate or for more information about our body shop services.